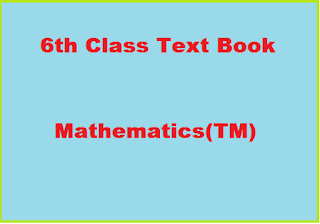 6th Class Mathematics Text Book(TM) A textbook is a book used for the study of a subject. People use a textbook to learn facts and methods about a certain subject. Textbooks sometimes have questions to test the knowledge and understanding of the learner.